The amount increased by 8.6 billion U.S. dollars, or 0.3 percent from the end of February, according to the State Administration of Foreign Exchange. Having grown for five consecutive months, the forex reserves was slightly higher than the market estimate of 3.0900 trillion dollars. March's increase was a result of various factors, including the changes of foreign exchange rates and asset prices, said Wang Chunying, SAFE spokesperson and chief economist. Xie Yaxuan, chief analyst at China Merchants Securities, said the supply and demand of foreign currencies in China's forex market was basically balanced. He attributed such balance to Chinese currency yuan's stable exchange rate and the country's expansion of financial opening-up. 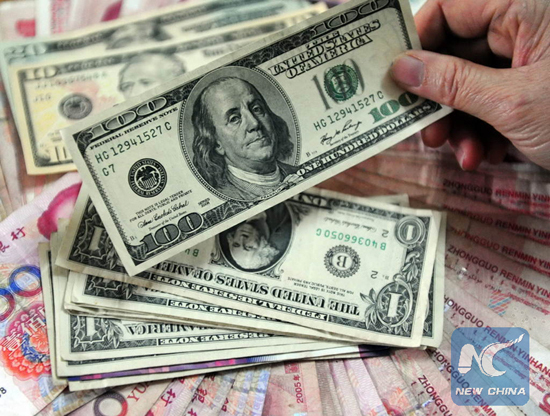 Despite rising volatility in the global financial market, China will maintain stable forex reserves with its economy running within a reasonable range, Wang added. Gold reserves amounted to 60.62 million ounces by the end of last month, a slight rise from February, according to the central bank.